We just got back from a fun and wonderful (but exhausting!) week-long vacation and I am ready to get back to some normalcy. I was able to post this week's recipe early on Instagram, so here it is on my blog! 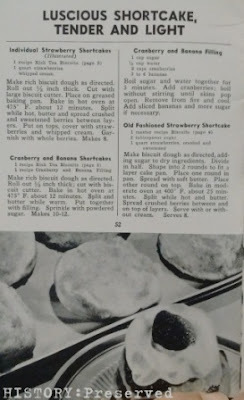 Today's recipe sounds intriguing and yummy: Cranberry and Banana Shortcakes. 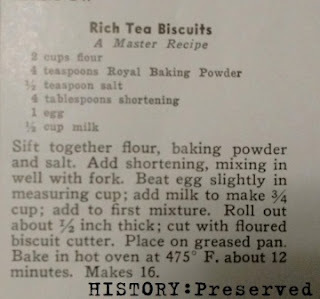 This is another recipe from the fun Royal Cook Book, ca. 1940. I would give this one a fair try. What do you think?